Lots of blooms on this camellia have suffered because of the frosts but there are still some buds to come so hopefully they will be OK. Thanks, Sticki. I had a flower on this shrub at the beginning of December but the snow put paid to that one! Still lots of buds on it so I am keeping my fingers crossed. It is not in such a sheltered place as my pink one. my new one [silver anniversary] is just showing white through the bud ~ its still by the front door being sheltered! See who else is growing Camellia japonica (Camellia). 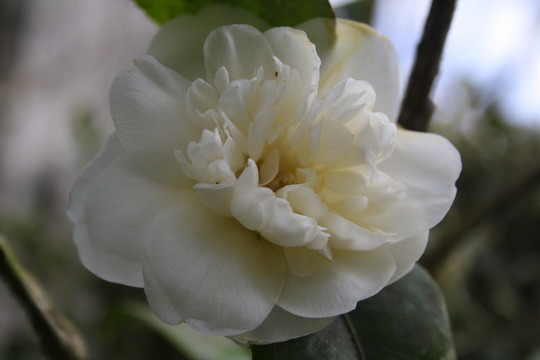 See who else has plants in genus Camellia.